WAXIE has partnered with the cleaning industry's leading equipment manufacturers, Advance, NSS and Windsor and offers a full line of industry leading commercial vacuums, extractors, scrubbers, floor machines and specialty cleaning machines designed to increase your facility's cleaning productivity. Whether you are meeting the high cleaning standards of the healthcare market or striving for immaculate guest perception in the hospitality market, our equipment will help you provide solutions specific to any application. WAXIE offers commercial floor cleaning equipment for a variety of applications including manufacturing, shopping malls, hospitals and many other government and commercial buildings. WAXIE is focused in providing companies leasing tools as a finance option for capital expenditures. 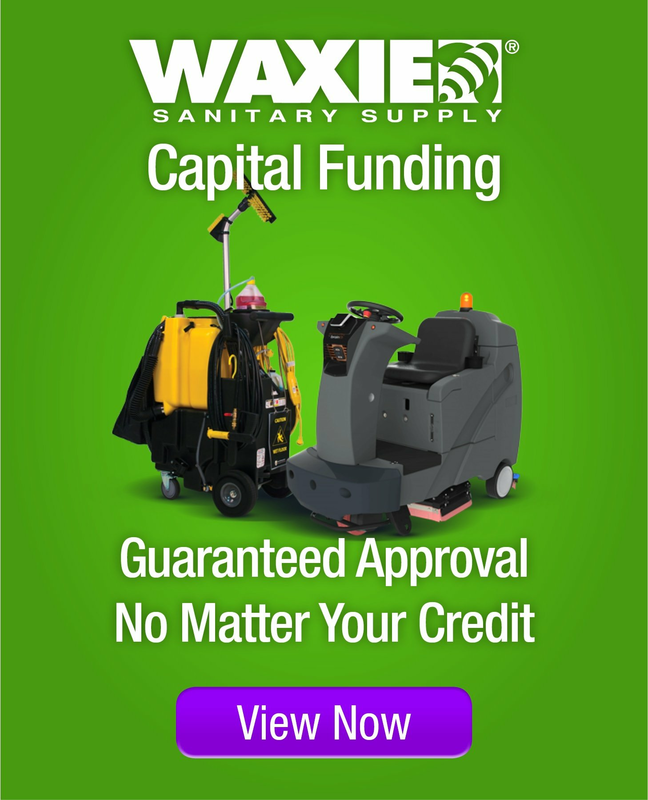 No matter what your credit situation may be, WAXIE Capital Funding offers guaranteed credit approval. How is this possible? WAXIE Capital Funding - Request More Information Now!